M&TP575-This Iron Thistle Ranch is located in one of the most sought after locations on the "WEST SIDE" of the magnificent Wet Mountain Valley. 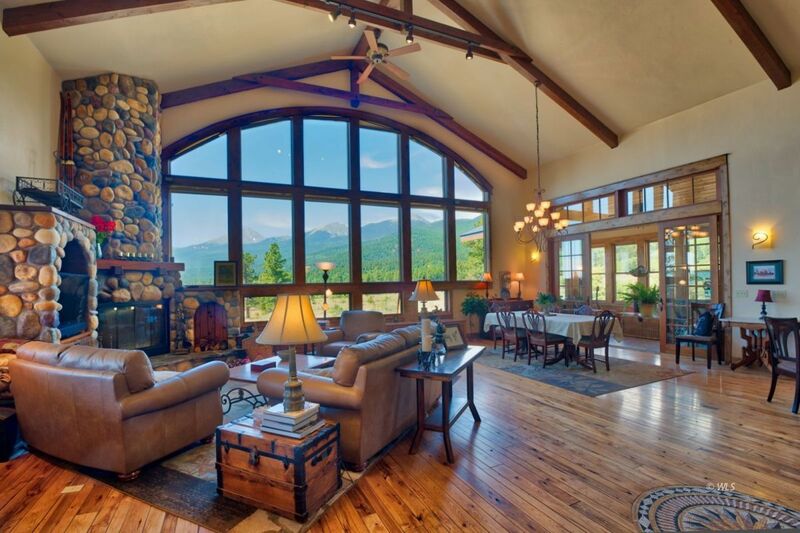 The main house offers an amazing great room with windows to the sky, massive wooden beams, and views of the 14,000 foot Sangre de Cristo Mountain Range that the home is situated beneath. Very close to the National Forest trailheads and not far from the charming and sought-after town of Westcliffe, CO. As you enter this amazing home you are greeted by a large covered front porch and custom leaded glass front doorway. The views from this room are unequaled and you can watch the ever changing views from the great room or the beautiful attached sun room. The kitchen has an artistic tin ceiling, large wood beams and granite countertops. The main level also has a large office and master suite. The upper level has 2 additional bedrooms and a craft room or additional bedroom. The lower level has a large great room that is perfect for entertaining, plus an attached greenhouse! The 1,040 sq. ft. guest house is also fantastic, with 2 bedrooms, kitchen, and bath, and 3-car garage. Horse lovers are all set with barn, corral, tack room. $1,297,000.